RightAsRain Rimbaud, aka Jon Himoff, CEO of Rezzable, will give a talk in voice, with Q&A by educators, for the weekly Second Life Education Roundtable. 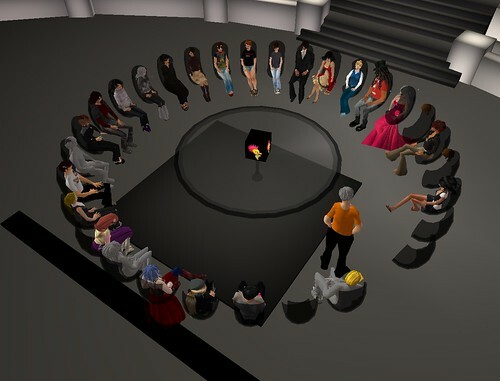 Topics will include the role of virtual worlds for education, Rezzable's decision to move more content to OpenSim, the Builderbot controversy, and Rezzable's vision for content creation. Have a question to put to Jon in-world? You can submit advance Qs here and as time permits, I will ask them at the event.